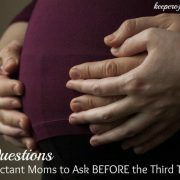 It’s something we all do on a regular basis; one of the most common threads among women around the globe. Of course, you’ve guessed it by now because of the picture… LAUNDRY. I’ve always been fascinated with laundered clothes hung out to dry when visiting other places. 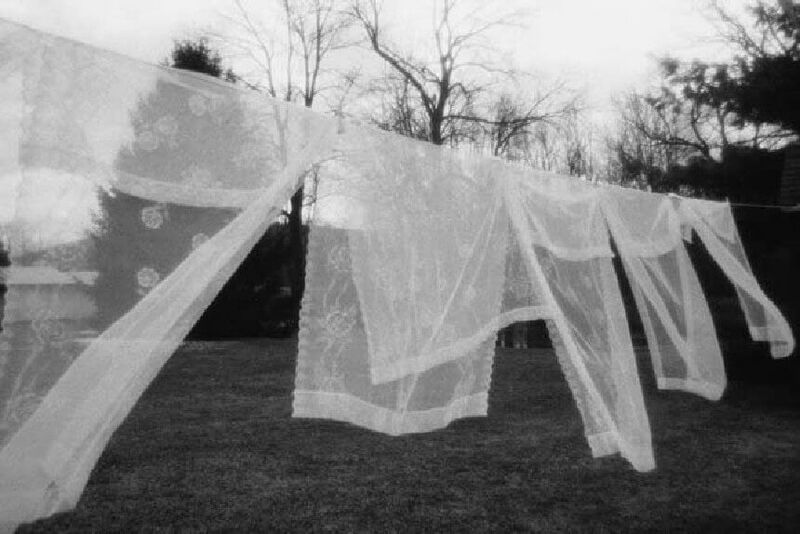 In Lancaster County, Pennsylvania, my husband and I were treated to clotheslines beautifully bedecked with Amish clothing. Mostly black and dark in color and very plain in nature, the shirts, dresses and trousers blowing in the wind were a testament of a simpler way of life and of a little bit of romance lost to those of us who have only to press the “normal” button on the electric clothes dryer to have dry clothing. 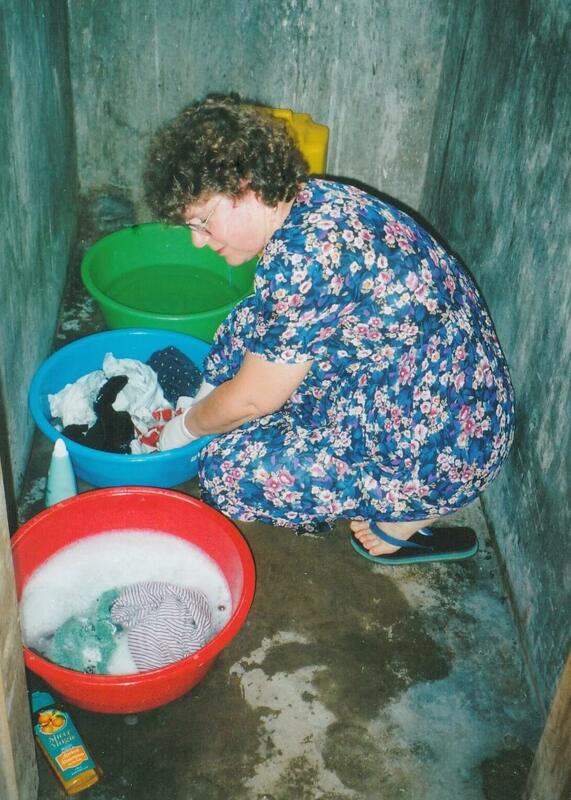 While in Africa on several mission trips, I laundered our clothing all by hand. There, the women use four or five small plastic basins – one with soapy water to clean the clothing and the rest for repeated rinses. After it is wrung out, the clothing is hung to dry on make-shift clotheslines or on the bushes. It may or may not get dry, depending on the humidity and also rain. You may actually bring the clothes in several hours later just as wet as when you hung them out. One thing is certain, however, we should learn from the rest of the world to employ the faithful clothesline in our own backyards. It is yet another way to save our environment and be a good steward of the earth. And our gas and electricity bills will reflect a savings also. Doing the laundry in Uganda. Oh, How We Hate Those Horrid Stains! Doing laundry is not so difficult here is the U.S. And it seems that one of our biggest concerns when doing the laundry is removing the stains from our clothing. There are plenty of choices when it comes to purchasing commercial stain removers. There is even one you can now take on the go with you to use if you drop spaghetti sauce (this is one thing I do well and it never seems to fail) on your white blouse while eating out. However, there are ways to prevent stains. For me, one of the easiest ways to prevent stains from happening is to wear an apron. It has saved me many times from having to douse a blouse or address the mess on a dress with stain remover. The little poem below expresses the practical benefits of the humble apron. So, by all means, save yourself some work and wear an apron. Aprons are all the rage these days anyway. To help me cook and clean and tend. And saves my clothes from laundry pains. To cook and clean for loved ones dear. A servant to the ones I love. My clothing bright and clean remains. And I am crowned the household queen. But getting back to removing stains, there are alternatives to using chemically loaded stain removers. A few years ago I developed a laundry stain-remover chart that details how to use everyday household items, such as vinegar, baking soda, etc. for ridding clothing of stains. Originally, it was given out at a laundry and linen shower for a young bride-to-be who also happens to be a dear friend of mine. The links for the chart are below in PDF form. You are welcome to run off any or all of the three pages. To get the best copy possible, after you click on the print button in the PDF file, look for “Properties” and click on the button. Once you’re in “Properties”, click on the “page set-up” tab and set the page “orientation” to “landscape”. Then proceed to print. You can keep your stain-removal chart in good condition by inserting each page into a plastic sleeve. Then thread metal rings into the binder holes at the side of the plastic sleeves and hang the chart up on the wall in the laundry room. It should serve you well for many years to come. Have you encountered a particularly difficult stain to remove? What was it and did you meet with success? 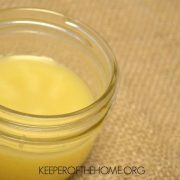 What effective, natural stain removers have you used? 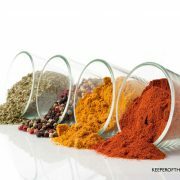 Two Recipes for Odor Eliminating, Air Freshening Sprays! A Natural Stain Remover that Really Works! 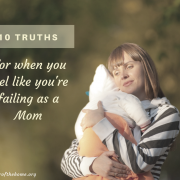 Next Post: What Makes You a Steady Mom? Thank you for sharing your charts. I find my basic homemade soap works for most stains. But these charts are great for everything else. I find that I get two types of stains 1) grease like olive oil 2) everything else (this is mostly the kids) The grease ones I use dish soap on and then launder. This seems to work well for me but it depends on the dish soap. I only use natural dish soaps but some don’t work well for this. For other stains I use a product called Safe Bleach its washing soda and hyrodgen peroxide. Its by Soap Works but Ecover and Nature Clean also make similar powdered oxygen bleach products. I put the powder into a basin with as hot water as the stained fabric can stand. Then I add a tiny bit of my normal laundry detergent. Then I swish to dissolve, and add the stained item. I let it soak for a few hours, sometimes draining and repeating with fresh water. Usually not though. For really old stubborn stains it may take a few times, but usually only a few hours. Its worked in all sorts of toddler and preschooler food stains at my house! Including ones that go through the dryer! I loved using hanging up the clothes when I loved on the West Coast but now I live in Southern Maryland where during the warm months there is so much pollen and with a husband who has allergies, I also am developing them, hanging up clothes isnt an option. I miss this wonderful choice. My son gets a lot of bloody noses, so the hydrogen peroxide trick has worked wonders for many of our stains. I was so mad the other day when it WOULD NOT take out the blood stain in my husband’s shirt (from my son’s bloody nose!). I treated it 3 or 4 times, with hydrogen peroxide and then additional stain removers. There was still a slight stain! So frustrating! Oh, I am so excited to take a look at your stain charts! I have been having terrible problems with stains on my little ones’ clothes from food (we love summer berries, but they are so messy! ), and grass and dirt and just generally being little. I am glad that most of their clothes are second-hand, from garage sales or hand-me-downs, because then I don’t worry so much when thier clothes get stained and they won’t come out, but it would be nice to have some clothing for them that is stain free! 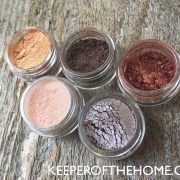 I have been having such a hard time finding natural laundry products that actually work. I tried homemade laundry detergent but it left small grease-like spots on our clothes. 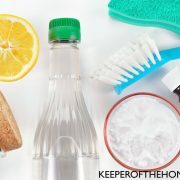 I have tried natural stain removers such as diluted dish soap, hydrogen peroxide, and even Green Works laundry stain remover. Sometimes they work great and get the stains out, and sometimes it seems no matter how I treat it, some stains will just not come out. It actually makes me miss my chemical filled store-bought stain removal spray! I’ve been very frustrated with my laundry lately and I’m hopeful that your stain charts my help ease some of my frustration. Thanks!! For Berry stains, boiling water usually works. Just pour it over the unlaundered stain and it will disappear. I hear you, Diana, about needing to often use the hydrogen peroxide trick! I learned it when working at a daycare years ago. Let me tell you, when you’re in a room full of one year olds learning to walk, you are gonna get bled on regularly! I have to admit I turn to oxyclean for most things, but it doesn’t always seem to work. And my husband has started doing the laundry more often (we only have access on the weekends) so I don’t always get to pre-treat. God bless him, though, I think I’d rather take clean, stained clothes without having to do the laundry, lol! What part of Uganda were you in? I was there in 07, but I would take my 3 minute showers with my clothes on and get everything clean all at once! My husband just started a welding job and his work clothes get SO incredibly dirty! I cannot get the black stuff out–I don’t even know exactly what it is–welding dust, I suppose? Today I tried Fels-Naptha Soap…maybe that will work? Thank you so much for the charts. I have always tried to look for that great stain removal trick in amonst all the other “papers” and can never find it. Now I can put this in my laundry room. My biggest stain problem right now is Chocolate. My mother-in-law loves chocolate. She also loves to please her grandkids. For the last couple of weeks they have been eating chocolate ice cream almost every night. She lets them dish it out themselves. I have not been able to get any of the the chocolate stains out. Any one have any ideas on what to do once I have already washed the clothes and air dried them? thanks!! I had a laundry revelation this last week. Berry stains, the bain of my summer existence with a toddler and a berry loving nearly 1-year-old, require boiling/steaming hot water in order to remove. I’d been boiling water every time. I finally remembered my washer puts out hot water on command. I just set it to a “hot/cold” cycle and hold the stains underneath the water while it runs into the washer. When the stains are gone, I switch it to cold/cold and wash the clothes. Problem solved and no more tea kettles on the stove to burn me. thanks for this,its great. I have always had an awful time with stains. in college I even wrote a paper in english class that the teacher had me read outloud and had everyone rolling in the aisles about how I knew stains jumped off my roommate’s clothes at night and marched into my closet and jumped onto mine. she even had a toothbrush for cleaning her sneakers. I tried making my own detergent and my clothes started getting holes in them. I find dawn detergent helps with grease best. I loved your article about the clothes line. I desperately miss mine as we are temporarily living in a teeny apt. I do drape my sheets over the patio rail to dry. (no complaints yet from the neighbors!) Nice to meet another Christian blogger! thank you for sharing these lovely charts! How do you get scuff makes off of walls? Thankyou for sharing your charts on stain removal. But, please tell me how to remove the white patches formed on black trousers ? Do you think they are of hard water or detergent deposits?